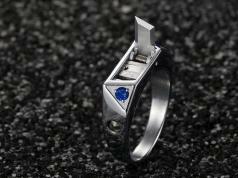 So you are looking for an awesome ring for that special Star Trek fan in your life? 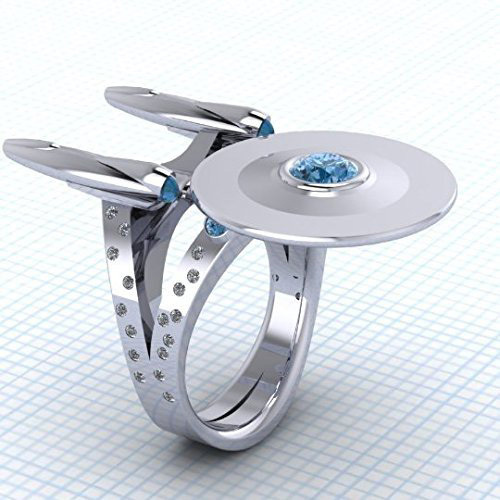 The Boldly Going Ring is worth a look. 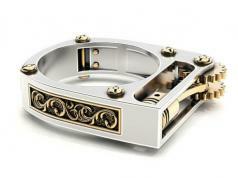 It is available in white gold, sterling silver, gold, and platinum with blue diamonds. 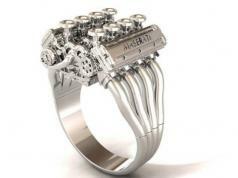 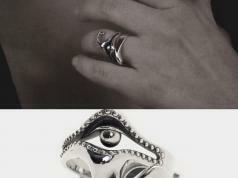 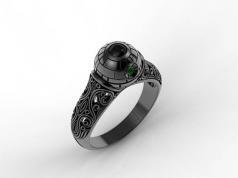 Paul Michael is the artist behind these geeky rings.